There are many types of great trees to grow in North Texas. One of the most popular of these is the Pond Cypress. Here’s what you need to know about taking care of this gorgeous tree. If you plan on planting this kind of tree, you need to make sure it gets a little shade to keep it healthy. While it can do quite well in full time, partial shade helps keep it from getting a little too hot. That’s why they work so well when planted by each other as they can provide shade to the lower areas of neighbor trees. After planting these trees in 3-4 inches of organic mulch, their soil needs to be drenched with water. Cypress trees typically require a pretty hefty load of water, particularly in the spring time. During this season, they go through their growth spurt. After drenching their roots, they should be fine with an occasional watering. One nice thing about the Pond Cypress is that it doesn’t need a lot of fertilizer. A single fertilization once a year should be more than enough. Add one inch for every drunk diameter. Once the tree is quite strong and has reached an adult age, it probably doesn’t need any more fertilizer for the rest of its life. Those needs will vary depending on your area’s soil. If you are interested in planting these gorgeous trees in your yard and need care tips beyond these, don’t hesitate to contact us. 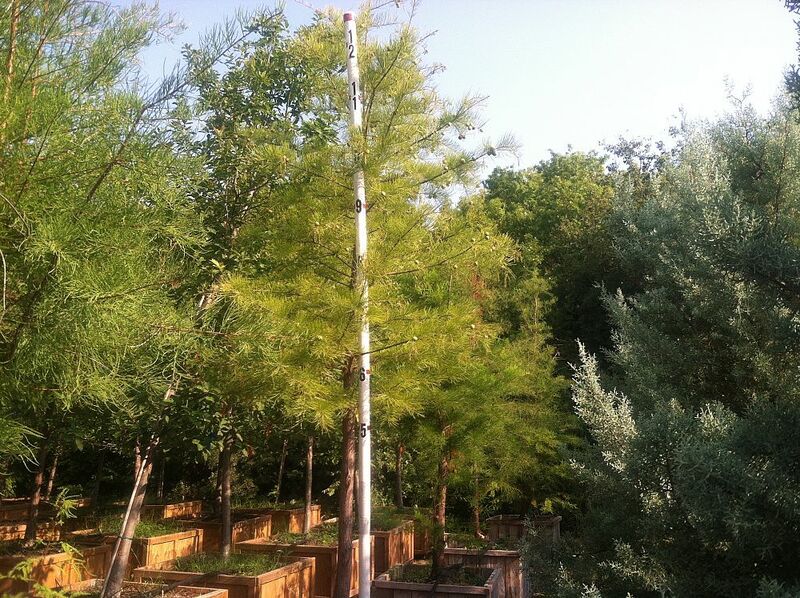 Our experts can help you get the best looking Pond Cypress trees in all of North Texas.